There’s nothing like a cold beer on a hot summer’s day! As Bay Staters, we are lucky enough to have some fabulous breweries in Massachusetts. From the ever popular and well known Samuel Adams Brewery, to the new and amazing Downeast Cider hall, these places offer truly refreshing drinks and exciting experiences. This cidery takes apples and alcohol to a whole new level. Started in 2011, the Downeast Cider Hall’s success grows from a truly exceptional and refreshing hard apple cider. The founders and owners stick to strict policy of “No Shortcuts” in their cider making process. The company gets all of their apples from local farms and fresh presses to create a truly amazing, and refreshing taste. They refuse to use artificial ingredients, use juice from concentrate, or any shortcuts that may diminish the quality and flavor of their delectable cider. While their original cider stands on their own, the line up of great ciders includes a cranberry blend, hard lemonade, a winter cider, hard honey and a pumpkin blend. Located in Charlestown, the cider hall offers free tours, and free samples from their taps! You may have heard of their flagship beer, Whale’s Tale Pale Ale but did you know Cisco also operates a distillery and winery as well as it’s brewery? A tour of Cisco brewery will provide the ultimate tasting experience! For just $20, the tour includes a tasting glass, the choice of two wines to sample from the Nantucket Vineyard, two beers from the Cisco Brewery, AND two spirits from Triple Eight Distillery. On top of their amazing tour, Cisco also offers a variety of other events including wine and cheese tasting with 8 different wines and gourmet cheese, live music events, and sea food events with a raw bars and lobster rolls. Located in beautiful Nantucket, take time to explore the island after your visit at Cisco Brewery! It would be almost impossible to walk into a bar in Massachusetts that doesn’t serve Harpoon’s IPA. This delicious craft brewery now boasts one of the largest breweries in the country. Located in the beautiful Sea Port area of Boston, this large brewery also hosts it’s own beer hall! Start your visit with a guided tour and beer tasting for $5. Then make your way to the beer hall for more delicious beer and a freshly baked pretzel served with garlic butter, IPA cheese, ale mustard and more! Created by an outdoor loving trio of friends, Wachusett Brewing company commits to brewing and selling the freshest, highest quality beer since they founded the brewery in 1993. Three founders involved themselves in every aspect of their brewery they possibly could. With degree in engineering and biology, the hands on founders designed and built most of the equipment, did the brewing and filling, selling and delivering and everything else to grow their brewery into the success it is today. You may know their most famous brews such as Wachusett Blueberry, Country Pale Ale, IPA, or Green Monsta IPA but they create many more creative brews. Check out a free tour today and finish your visit with a free tasting! This may be the first brewery that comes to mind when thinking about Massachusetts breweries. 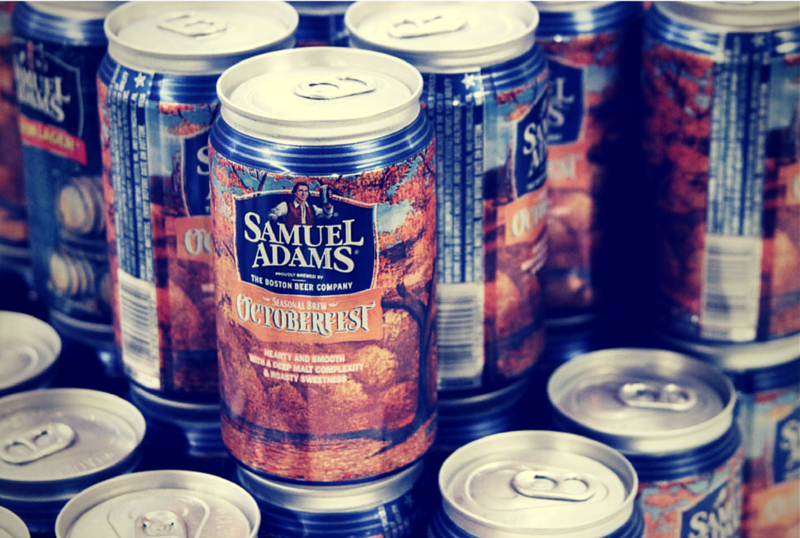 Brewing since 1984, Sam Adams boasts over 30 different styles of beer with seasonal favorites. Tours run Monday to Saturday, but they fill up fast so get there early! The free tours include 3 free samples and the brewery just asks for a small $2 donation for local charities. Another awesome night to try more brews right from the source, is complimentary flight plan night every Wednesday from 5pm to 7pm. Create your own flight plan by choosing from beers on tap and in growlers, ranging from experimental brews, to the flagship Boston Lager, and seasonal styles!